A great selection of books and related material from around the world. 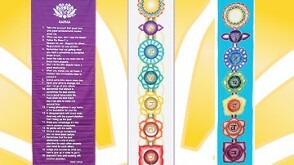 Decorate your home or studio with chakra tools that are designed for your visual enjoyment. 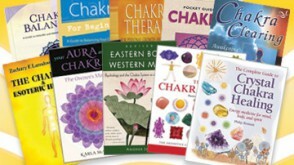 Choose from our diverse selection of chakra-related titles. We believe knowledge is instrumental for self-empowerment! These handy reference charts are filled with insight into various alternative topics. Dozens to choose from! 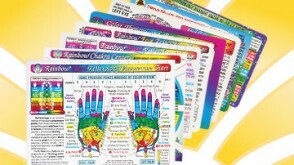 Our selection of wallet cards is perfect for learning tidbits of information related to the specific topic. Ideal to carry in your wallet or purse. The third chakra, the Solar Plexus chakra, is referred to in Sanskrit as Manipura, which means "city of jewels." The Solar Plexus chakra is depicted as a ten-petaled lotus flower and it resonates to the color yellow. The Solar Plexus chakra governs our mental abilities and our ego. 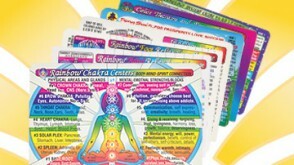 It is the energy center that stimulates our personal power and gives us clarity of mind. The yellow Solar Plexus chakra fills our mind with ideas and increases our awareness. Without power in our Solar Plexus we become unfocused and cynical; however, with a strong Solar Plexus chakra, life is bright-like the sunshine! If we have disturbances in our Solar Plexus chakra it may affect our digestive system, liver, pancreas, stomach and nervous system. Other problems may include lack of focus, concentration, memory abilities and self-esteem. 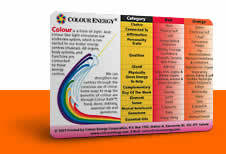 If you have any of these symptoms, it is time you boost your yellow energy to give power to your Solar Plexus chakra!